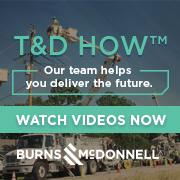 Like many other industries in which employee performance is crucial to the customer experience, the utility industry provides an essential commodity to the public. As they are often under intense scrutiny, utility companies must also take steps to minimize their exposure to liability issues. For utilities that provide direct service to retail power customers, the large volume of customer service calls they manage demands both courtesy and accuracy on the part of call center agents. And, consequently, their contact centers need reliable and effective quality monitoring and training solutions. Similarly, "upstream" energy providers specializing in transmitting power to other utilities need interaction recording systems to accurately record 100% of their service and event calls to and from their technicians (and other utilities) for liability protection and to recreate major incidents. By now, most successful utility contact centers have already adopted baseline call recording and quality monitoring solutions – the fundamental building blocks for any type of workforce optimization solution. However, although useful, these solutions can be of limited value if they are outdated, early generation quality monitoring applications, and may be due for review and reevaluation. The good news is that quality assurance technologies have evolved significantly. They have now reached the point where they can enable contact centers to focus the entire process on what really matters and what can make the biggest impact on business performance – all without losing objectivity in the assessment of agent performance. Customer service and help desk environments have traditionally been known as high-turnover environments, where employees tend to consider their positions to be transient or temporary. There are many things that contact centers can do to overcome this challenge. To anticipate and reduce turnover, it is best to give agents some time away from the phone for cross-training and multi-skilling. Allowing agents to respond to email or perform other administrative duties while they are mastering the skills of becoming expert contact center professionals makes their jobs feel more fulfilling and enables them to provide a better customer experience. It is also crucial to provide ongoing training. This will keep agents engaged, alert and empowered to quickly and accurately resolve customer issues. In fact, with today’s tightly integrated quality monitoring and coaching software tools, skill development can be highly personalized according to the needs and objectives of each agent. In addition to process improvements, implementation of the latest technologies can be crucial to the continued success of utility contact centers. When liability and accuracy are the challenges, it is vital to adopt an interactions recording solution that can record 100 percent of calls and data interactions. Using an advanced recording solution, utility companies can determine what to retain, for how long, and on which storage device by implementing flexible, intelligent business rules. Recordings can be unified across audio and data sources and multiple locations while users can freely search, locate, playback and share using instant searches and filters. The beauty of a completely integrated suite of workforce optimization applications is the interoperability. Each technology application – recording, QA, performance management, analytics, coaching, E-earning – has valuable capabilities, but multiple solutions can work symbiotically to provide even greater results. Beyond the immediate improvements in contact center performance and lowering operating costs, workforce optimization solutions allow for quick decision making, which helps resolve customer issues. By adopting advanced technologies for monitoring quality and optimizing customer service — including analytics-driven call center quality assurance systems that help identify and automate routine contact center tasks — utility companies can dramatically improve performance and profitability. The decision to choose one solution instead of another depends on the specific utility’s needs, goals and circumstances. However, with modular workforce optimization software suites, there is a sensible, financially sound path for every budget and objective. About the Author: Patrick Botz serves as Vice President of Workforce Optimization for VPI, the leading provider of call recording, contact center quality assurance and workforce optimization solutions for over 1,500 customers including Czech Energy Company, DTE Energy, First Choice Power, Los Angeles Department of Water and Power, Integrys Energy Services, Jackson Electric, PowerSouth Energy, PPL Electric Utilities, San Diego Water Department, and Texas Power. Leveraging more than a decade of field experience as a CRM and contact center practitioner, he focuses on the mission-critical aspects of capturing customer intelligence and optimizing business processes and workforce performance. Patrick holds an MBA from Pepperdine University and a BSE in Engineering from Arizona State University. Patrick can be contacted at PBotz@VPI-corp.com.